The election of center-left Antonio Tajani (EPP) as European Parliament president has upset the balance of power in Brussels. Now, the European People’s Party (EPP) holds the top three jobs in the EU, except for the EU High Representative Mogherini (S&D), who is a socialist. Such an upset could force Council President Tusk (EPP) or Commission President Juncker (EPP) from office by summer time, should the socialists demand one of those posts. As of now, it looks like Council President Tusk (EPP) will keep his job, even though his once renewable 2.5 year term ends in June. It is more likely that scandal ridden Commission President Juncker (EPP) would step down. EU High Representative Mogherini (S&D) is one of the potential replacements for the scandal ridden Juncker*, should he succumb to recurring calls for his resignation. This would please those who routinely make the forceful call for more women in upper leadership positions when the candidates for the top jobs are chosen. Furthermore, it would give a nice consolation prize to the socialists by giving the most powerful EU post to one of their own. This speculative, but very possible, scenario would leave a critical vacancy open for the EU High Representative position. Ever since his report in March 2015, the term on “European Defence Union” has come into widespread use. 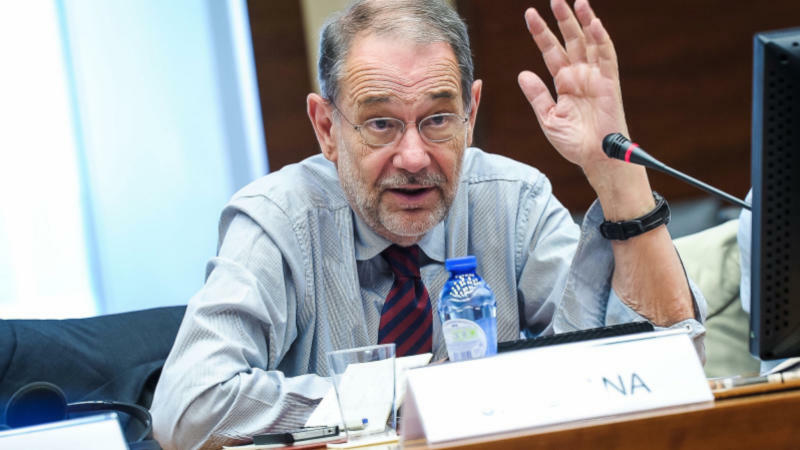 Now EU leadership have agreed to a modest three pillar plan to strengthen European defense, that Solana says does not go far enough. This has been further rushed into place due to the election of Donald Trump as U.S. President, who has called the military alliance between the U.S. and Europe “obsolete", and has said that Brexit would be a great thing. MEP Urmas Paet has taken up the torch to continue pushing for a European Defence Union within European Parliament. 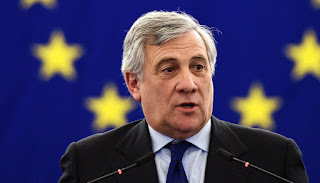 His report on European Defence Union (which was very likely strongly influenced by Solana) was eventually ratified by the European Parliament. Paet desires to set up a special commissioner for defence and security, to lighten the load on the current EU High Representative. Solana is the best Antichrist candidate in world history, as far as specific prophecies are concerned. Therefore, it is likely that Solana will become EU High Representative once again, or be given a newly created “Defence Commissioner” post. Most in politics largely believed Solana was “retiring,” when he stepped down in 2009. This will likely prove to be false in the coming months, as EU top jobs are set to reshuffle. "The next Multiannual Financial Framework (MFF) should reflect the new defence cooperation"
"As Europe enters 2017, watchful waiting continues. But for how long?" Peace be to you all. Come Lord Jesus. *Another article, probably from Reuters, states that Mogherini and Katainen are possible Juncker successors. Nevertheless, I cannot find the link at the moment. "Thanks Baldy! Great to hear from you! Hope you are well. There are some interesting things going on with the 7 year budget for the EU (MFF). They want to establish the European Defense Union around it. Nonetheless, the 7 year ENP with Israel still exists. Perhaps Solana will provide a security guarantee to Israel for 2021-2028? What do you think brother"
First, I want to say that you are doing an excellent job in following what I believe is the ONLY viable 7 year Treaty that is associated with the many details that Scripture has provided us. I really feel that some exciting things will happen with the current ENP - and it's "midst" should come sometime next year around June 2018. If the ENP is what we think it is, then at some point Solana will have to return to power. Only time will tell - But I really believe that there has been no other candidate stronger than Solana who could be the coming Antichrist that Scripture speaks about. So stay on his Trail! God Bless you and your Ministry Brother! Great to hear from you brother. Thanks for your kind words. Sorry for my delayed reply. You are right that the ENP with Israel still exists. The EU even just recently rebooted the ENP in 2015. However, the EU's relationswhip with the ENP seems awkward, since it was not often mentioned in the EU's global strategy. Furthermore, Solana himself said in a talk "I think ENP is over." I wish I could find the recording of some of his talks so I could know what he means by that! It's a very dramatic thing to say. After all he is the inventor of the ENP, along with Chris patten. He seems to go on many speaking engagements but they are not necessarily recorded, though people tweeted what he said. Evidently, he doesn't think the Union for the Mediterranean is dead (which is an ENP program), as he was in a short video at a UfM summit last year describing the importance of it. 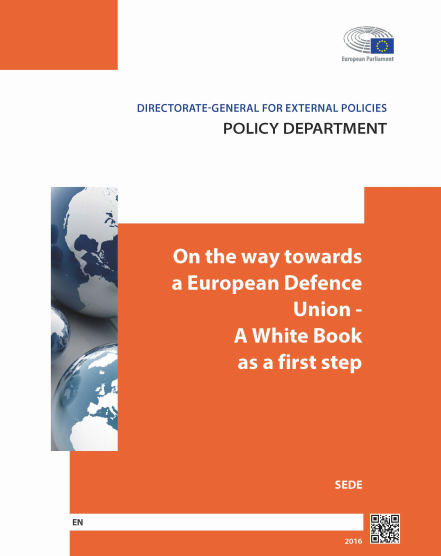 It is also interesting that the EU Parliament intends to establish the "European Defence Union" (which Solana originally proposed) along the next 7 year framework. Furthermore, Solana's original EU defence plan (More Union in European Defence) talks about using the EDU to stabilize the middle east and north africa. The Solana (and the EU) also uses the word "security provider" as well, to describe the role they want to have. It's all talk now, but its very reminiscent of the old prophecy movies/videos where the Antichrist makes peace in the middle east for 7 years. It's interesting how closely solana's and the EU's vision is to this, should it be taken to its logical conclusion. I guess we will have to wait and see. Though I wonder what will differentiate the regular ENP rotations from the main covenant. In some sense, I'd expect the "big one" to be different from the other rotations in some way, so we could tell the difference. What do you think brother? Great to hear from you as always. you are still tracking because no one fits the bill like solana. there is so much to see these days and my bet is 2017 will provide quite a bit more to be watching according to Scripture. keep up the good work david. i share your page with others. may the Lord continue to give you the wisdom and insight needed for such a time as this. Thanks for your kind words and encouragement Andre'. I do think 2017 will be a big year, seeing if Solana will emerge or not. After all, the anniversary of the EU's Rome Treaty is in March, and they want to use that as an opportunity to rethink the EU's future. With Trump's rise and the Brexit vote, they are getting increasingly determined to integrate. May God give you blessings and insight every day.